Family fun comes to the ST in a new miniature-golf game from Digitek Software, the company that brought Vampire's Empire to the ST. Hole-In-One Miniature Golf comes with four complete miniature-golf courses on two ST diskettes. 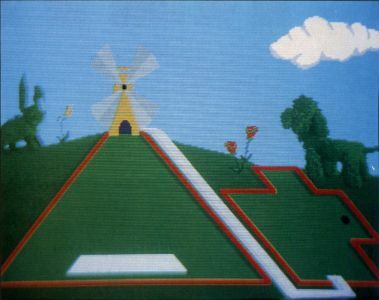 From the classic windmill to the inside of a pinball machine, Hole-In-One provides a multi-level golf game that is suitable for game players of all ages. 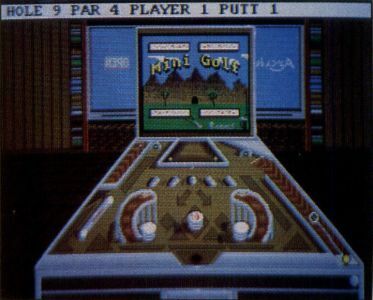 Hole-ln-One Miniature Golf has a list price of $29.95 and is now available. "Family fun comes to the ST."